Every new home begins with an idea followed by a house plan. The plan may in fact be the most important aspect surrounding the completion of your dream home. 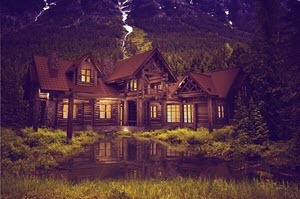 Here, we will cover the differences between purchasing a stock house plan and hiring an architect to design your home. Most people will develop a budget for their home building project that needs to be strictly managed throughout the entire process. This budget always has the potential to seem thinner and thinner as the project progresses if the planning process becomes lengthy. This can be the case especially when one hires an architect to design their home. This method certainly has its place and although appealing in theory, this route may be more expensive than finding a house plan from a vast collection that already incorporates the elements that you are looking for in a home. In fact, buying a stock house plan will save you near 80% of the final costs compared to hiring an architect. At Monster House Plans, we even offer a cost-to-build feature that provides a rough estimate of what your home will cost in your zip code area. This useful feature takes out many financial surprises during the construction of your dream home. For this reason, staying on budget is our number one advantage. 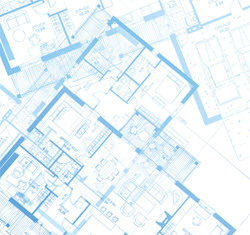 Higher level of flexibility found with buying a stock house plan. They are readily available and easily accessible. Customizable features found with some building plans publishers, such as our professional staff and on-hand architect at Monster House Plans. Time saving! Purchasing a house plan shortens the amount of time it takes to acquire the plan itself. Architects will consult with you in person and draft based on your descriptions. However, all the advantages of consulting with an Architect can be equalized depending on where you purchase the house plan. For example, Monster House Plans maintains relationships with licensed architects and designers that you can contact if you should have any questions. Although building a home is not a quick and easy process, the process of planning the home can be much simpler than imagined. Finding what works best for one’s specific needs is essential. There are now many different house plans available to anyone. The diversity in available house plans ensures that you will be able to find the right plan with all the desired elements. This entry was posted in House plans on May 20, 2014 by HouseplanGuy.